The Chinese Communist Party (CCP) recently reversed its past denials and acknowledged that the administration of organ transplants inside China is unregulated. Many doctors have made huge illegal profits from transplanting the organs of executed prisoners. 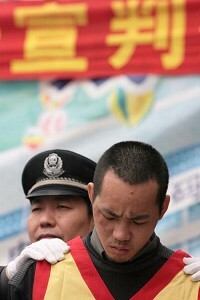 Analysts believe that faced with the growing international pressure on investigating the organ harvesting of living Falun Gong practitioners, the CCP is attempting to dodge international condemnation with “frank acknowledgement” and “lawmaking.” By these actions, the CCP hopes to reduce international attention on its morally corrupt practices and eliminate any obstacles for obtaining sponsorship for the 2008 Olympics. According to an official Chinese media report, Huang Jiefu, the Vice Minister of the Ministry of Health, speaking at the National Organ Transplant Application Technology Conference held in Guangzhou on November 14, frankly acknowledged that regulation of organ transplants inside China is chaotic. Many profit-seeking doctors have taken advantage of foreign visitors and marketed organs at very high prices. International news agencies have noted that this is the first time that the CCP has openly admitted using organs from executed prisoners for transplant and that there are serious problems regarding the regulation of the organ trade in China. Yet just a month ago, on October 10, the CCP Ministry of Health still denied the organ trade in China. The CCP at that time claimed that the majority of the organs used for transplant had come from volunteer donors. The CCP had accused the BBC, the Australian Sky News and other international news agencies of spreading lies. Why within one month the CCP could have such a dramatic change in its attitude regarding organ transplant? Recent actions by the CCP are part of a public relations strategy adopted to reduce pressure from the international community on illegal organ transplant practices, noted the renowned security consulting intelligence agency Stratfor. Their studies suggested that the CCP is working hard to ensure that the current international pressures against the illegal organ harvesting practices in China will not prevent the Olympics from being held in Beijing as scheduled. Stratfor stated in its November 17 article “China's Preemptive Public Relations Strategy” that Canadians David Kilgour and David Matas's report on organ harvesting from living Falun Gong practitioners, which was published earlier this year, created serious diplomatic problems among the international community for the CCP. The actions of the Coalition to Investigate the Persecution of Falun Gong in China, which has administrative branches in both Washington D.C. and Ottawa, has also had a strong impact on CCP organ harvesting activities. The CCP is concerned that international human rights activist groups will use the most recent reports on organ harvesting to negatively influence potential sponsors for the 2008 Olympics. Specifically, the CCP is afraid that international attention to the brutal practice of harvesting organs and the marketing of organs for profit will result in a lack of sponsors for the upcoming 2008 Olympics in Beijing. Stratfor's research indicates that the CCP intends to use the 2008 Olympics as a platform to establish itself as one of the world's global super powers. In doing so, the CCP will be attempting to remove the shadow cast on China by the Cultural Revolution and the Tiananmen Square massacre. Internally, the Olympics will shift Chinese citizen's attention away from the economy and current social chaos in China. A successful Olympics in Beijing will also help to stabilize the CCP's continued authority to rule. The Stratfor report suggested that the CCP has learned from the most recent anti-corruption movement. The CCP now understands that bringing a problem into the open and examining it in the open can help to reduce internal and international pressure for change. Huang's speech suggested that the CCP adopted the same preemptive strategy concerning organ harvesting, in order to eliminate criticism and obstacles for the Olympics in 2008. According to Amnesty International, the number of convicts sentenced to death in China over the last five years has remained fairly constant at two to three thousand per year. As reported by the China Youth Daily in 2003, when representatives of the National People's Congress urged the National Supreme Court to review death penalty cases, their numbers revealed that approximately ten thousand convicts were sentenced to death each year. However, according to Chen Shi, President of China Organ Transplantation Association, there were nearly twelve thousand organ transplants reported in China during 2005. According to The Beijing News there were over two thousand liver transplants conducted in China in 2004. Cao Changqing, a well-known commentator, has questioned how it is that the number of organ transplants in China has increased significantly in recent years and yet the number of executions has remained fairly constant? Liu Dawen, Editor-in-Chief of Frontier Magazine , pointed out that long before the recent acknowledgement of the practice by the CCP, it had been a non-disputable fact that the CCP had routinely harvested the organs of convicts sentenced to death. The only recent CCP public acknowledgement of the practice appears to be an effort to improve their image with the international community. The public acknowledgements at this time also appear to function as an indirect denial of the organ harvesting from living Falun Gong practitioners as reported by the international media. 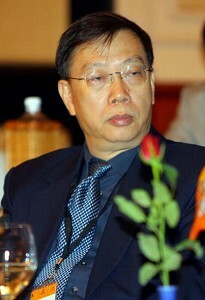 Si Cangshan, an expert in China affairs noted recently that the CCP is very afraid of two recent events: the first is the large number of people quitting the CCP and the second is the continuing investigations into the allegations of organ harvesting from living Falun Gong practitioners in China. Read more on the Chinese regime's Organ Harvesting .